References UT_String::c_str(), UT_String::empty(), gchar, XAP_Dialog::getApp(), XAP_App::getStringSet(), XAP_StringSet::getValue(), XAP_Dialog::m_id, XAP_Dialog_FileOpenSaveAs::m_szDescriptions, XAP_Dialog_FileOpenSaveAs::m_szSuffixes, SuffixInList(), UT_ASSERT, and XAP_DIALOG_ID_INSERT_PICTURE. References UT_Win32LocaleString::c_str(), DEFAULT_EXT_SIZE, UT_Win32LocaleString::fromASCII(), gchar, XAP_Dialog::m_id, m_szDefaultExtension, XAP_Dialog_FileOpenSaveAs::m_szDescriptions, XAP_Dialog_FileOpenSaveAs::m_szSuffixes, UT_DEBUGMSG, and XAP_DIALOG_ID_FILE_SAVE_IMAGE. Referenced by runModal(), and s_hookSaveAsProc(). References UT_Win32LocaleString::c_str(), UT_Win32LocaleString::fromUTF8(), XAP_Dialog::getApp(), XAP_App::getStringSet(), XAP_StringSet::getValue(), XAP_Win32DialogBase::setDlgItemText(), XAP_Win32DialogBase::setHandle(), and UT_return_val_if_fail. References UT_Win32LocaleString::c_str(), GR_Win32Image::convertFromBuffer(), DELETEP, GR_Win32Graphics::drawImage(), UT_Win32LocaleString::fromLocale(), UT_Win32LocaleString::fromUTF8(), XAP_App::getApp(), XAP_Dialog::getApp(), XAP_App::getStringSet(), XAP_StringSet::getValue(), IEGFT_Unknown, IE_ImpGraphic::loadGraphic(), XAP_App::newGraphics(), GR_Graphics::tlu(), UT_DEBUGMSG, UT_go_filename_to_uri(), UT_MIN, UT_return_val_if_fail, UT_UTF8String::utf8_str(), and UT_Win32LocaleString::utf8_str(). Gets the Windows File/Save common dialog box. To be able to get the places bar containing icons for commonly-used folders when we use hooking we need to use the new OPENFILENAME structure as defined in WINNT5 or better. To keep backward compability, first try with the new size of the structure, if it does not work it means the the common dialog box DLL installed in the system does not support the new features, and then we use the old one. In this situation, we user does not have a places bar capable common dialog box DLL anyway. References BOOL(), XAP_Win32Dialog_FileOpenSaveAs::OPENFILENAME_WIN50::dwReserved, XAP_Win32Dialog_FileOpenSaveAs::OPENFILENAME_WIN50::FlagsEx, XAP_Win32Dialog_FileOpenSaveAs::OPENFILENAME_WIN50::lStructSize, and XAP_Win32Dialog_FileOpenSaveAs::OPENFILENAME_WIN50::pvReserved. References _buildFilterList(), _getDefaultExtension(), BOOL(), UT_Win32LocaleString::c_str(), UT_String::c_str(), XAP_Win32Dialog_FileOpenSaveAs::OPENFILENAME_WIN50::Flags, FREEP, UT_Win32LocaleString::fromLocale(), UT_Win32LocaleString::fromUTF8(), gchar, XAP_Dialog::getApp(), XAP_Frame::getFrameImpl(), GetSaveFileName_Hooked(), XAP_App::getStringSet(), XAP_StringSet::getValue(), XAP_Win32Dialog_FileOpenSaveAs::OPENFILENAME_WIN50::hwndOwner, XAP_Win32Dialog_FileOpenSaveAs::OPENFILENAME_WIN50::lCustData, XAP_Win32Dialog_FileOpenSaveAs::OPENFILENAME_WIN50::lpstrDefExt, XAP_Win32Dialog_FileOpenSaveAs::OPENFILENAME_WIN50::lpstrFile, XAP_Win32Dialog_FileOpenSaveAs::OPENFILENAME_WIN50::lpstrFileTitle, XAP_Win32Dialog_FileOpenSaveAs::OPENFILENAME_WIN50::lpstrFilter, XAP_Win32Dialog_FileOpenSaveAs::OPENFILENAME_WIN50::lpstrInitialDir, XAP_Win32Dialog_FileOpenSaveAs::OPENFILENAME_WIN50::lpstrTitle, XAP_Win32Dialog_FileOpenSaveAs::OPENFILENAME_WIN50::lStructSize, XAP_Dialog_FileOpenSaveAs::m_answer, XAP_Dialog_FileOpenSaveAs::m_bSuggestName, XAP_Dialog_FileOpenSaveAs::m_finalPathname, XAP_Dialog::m_id, XAP_Dialog_FileOpenSaveAs::m_initialPathname, XAP_Dialog_FileOpenSaveAs::m_nDefaultFileType, XAP_Dialog_FileOpenSaveAs::m_nFileType, XAP_Dialog_FileOpenSaveAs::m_nTypeList, XAP_Dialog_FileOpenSaveAs::m_persistPathname, XAP_Dialog_FileOpenSaveAs::m_szDescriptions, XAP_Dialog_FileOpenSaveAs::m_szSuffixes, XAP_Win32Dialog_FileOpenSaveAs::OPENFILENAME_WIN50::nFilterIndex, XAP_Win32Dialog_FileOpenSaveAs::OPENFILENAME_WIN50::nMaxFile, XAP_Win32Dialog_FileOpenSaveAs::OPENFILENAME_WIN50::nMaxFileTitle, s_hookInsertPicProc(), s_hookSaveAsProc(), UT_ASSERT, UT_ASSERT_HARMLESS, UT_DEBUGMSG, UT_go_filename_to_uri(), UT_pathSuffix(), UT_return_if_fail, UT_SHOULD_NOT_HAPPEN, UT_UTF8String::utf8_str(), UT_Win32LocaleString::utf8_str(), XAP_DIALOG_FILEOPENSAVEAS_FILE_TYPE_AUTO, XAP_DIALOG_ID_FILE_EXPORT, XAP_DIALOG_ID_FILE_IMPORT, XAP_DIALOG_ID_FILE_OPEN, XAP_DIALOG_ID_FILE_SAVE_IMAGE, XAP_DIALOG_ID_FILE_SAVEAS, XAP_DIALOG_ID_INSERT_FILE, XAP_DIALOG_ID_INSERT_PICTURE, XAP_DIALOG_ID_INSERTMATHML, and XAP_DIALOG_ID_PRINTTOFILE. References _initPreviewDlg(), _previewPicture(), UT_DEBUGMSG, and UT_return_val_if_fail. References _getDefaultExtension(), MAX_DLG_INS_PICT_STRING, UT_ASSERT, and UT_DEBUGMSG. 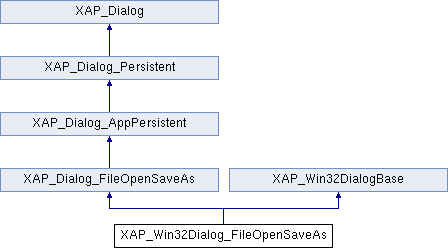 Referenced by _getDefaultExtension(), and XAP_Win32Dialog_FileOpenSaveAs().